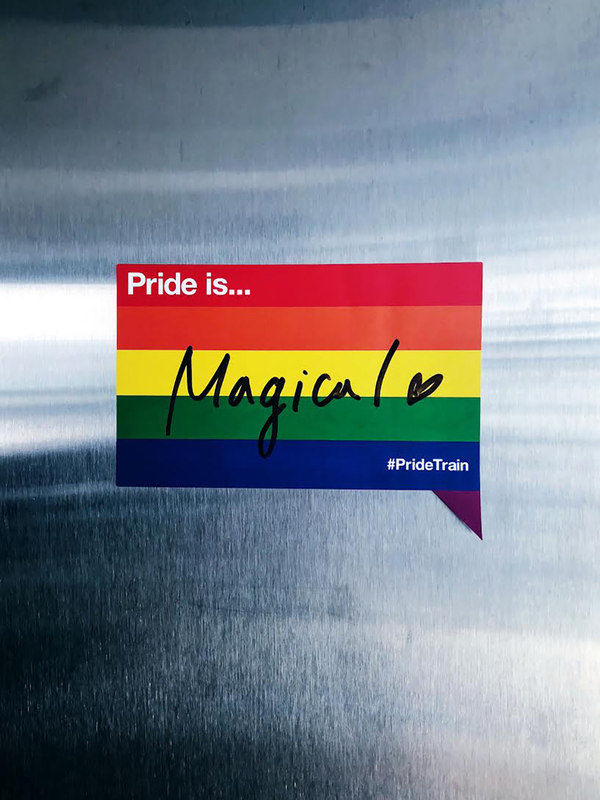 It’s back ~ the @PrideTrain Ad campaign that originated last year, hit NYC Subway Stations again this June ~ with the hope of keeping the message going all year long. This years campaign posters are the creation of SVA Design faculty and alumni, Thomas Shim, Ezequiel Consoli and Kyle Harrison (BFA 2018 Design & this year’s addition to the core team). 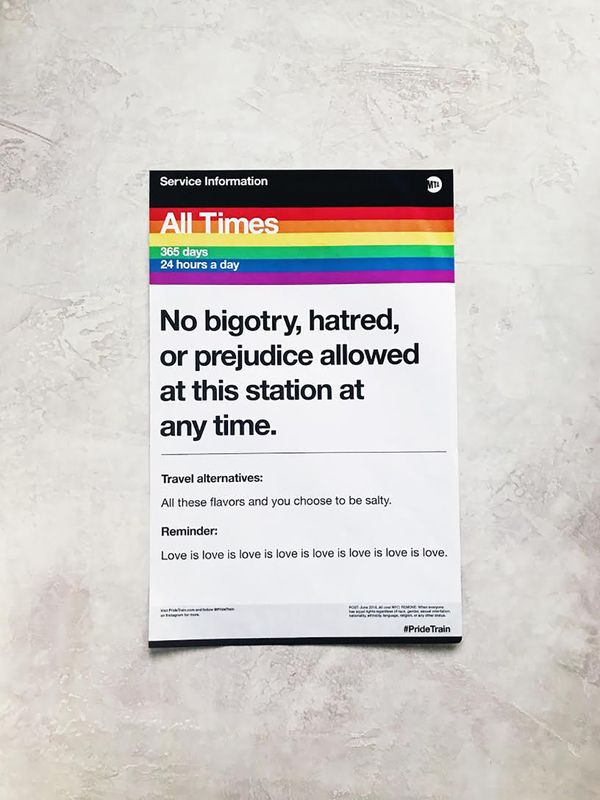 The project was originally created by SVA faculty and alumni Thomas Shim (BFA 2011 Graphic Design) , Ezequiel Consoli (BFA 2018 Design) and Jack Welles (BFA 2018 Design) last year, when the Trump administration seemed to forget that June is Pride Month. Not missing a beat, the team of three scooped up this opportunity to celebrate #PrideMonth in our city’s most public spaces – the subways. 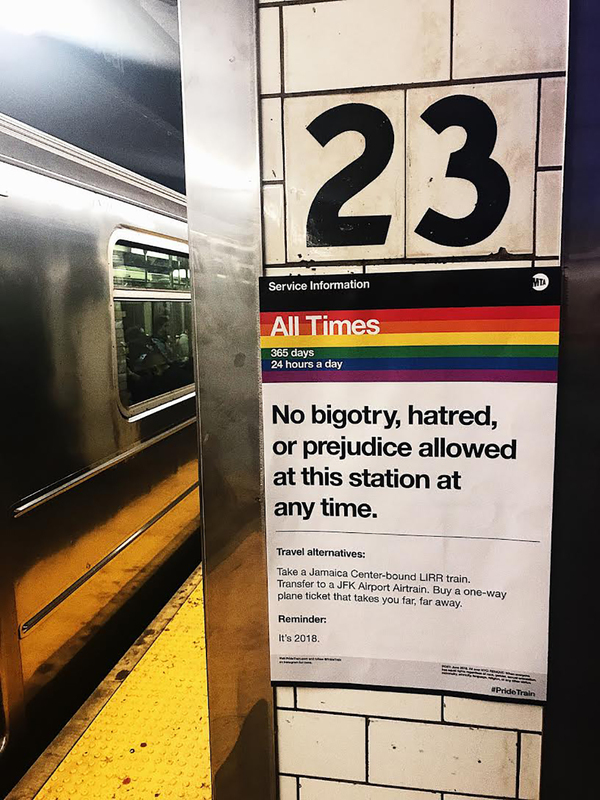 Their goal is to provide messages of love, reminding straphangers that subway stations are safe spaces ~ no bigotry, hatred or prejudice allowed. 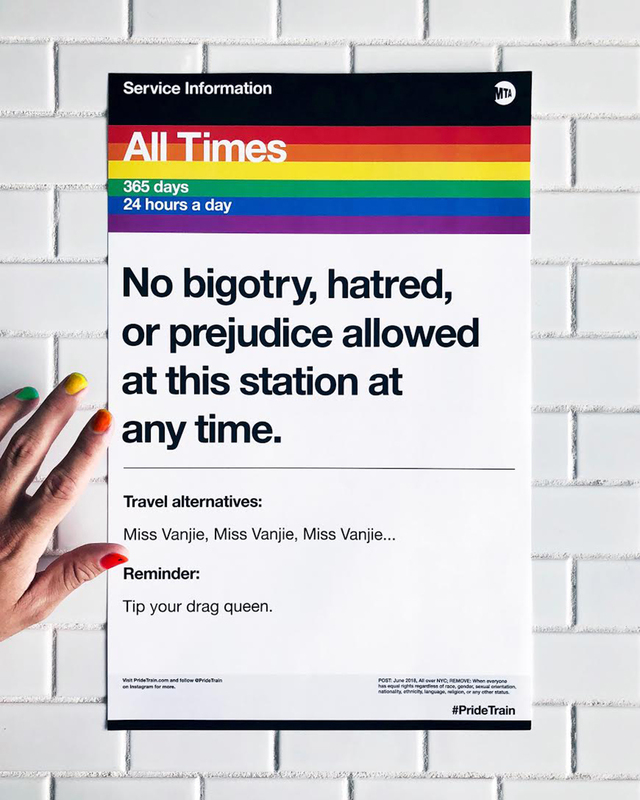 Copying the MTA’s font, the @PrideTrain trio used their own creative style and the official colors for the rainbow flag on posters sending messages from No bigotry and hatred to reminders to tip your drag queen, and ~ love is love is love is love.